Kids seem to love most things that nature throws at them. And that includes little bugs running around the house and flying in the windows. When I was a kid I loved nature. And butterflies were part of that love. Along with my sisters and brother we caught caterpillars. We put them in a box to watch them hatch into butterflies. Our favorites were the Monarch butterflies as they were the most beautiful. Back in those days, when I was a kid, we had to actually go out and look for caterpillars and butterflies, since the pet shops never stocked them. Now the modern generation have it so easy, they can buy them on the internet and the postman delivers them. None of this walking around the park looking for the trees the butterflies like so you can get the caterpillars. Also we had our butterflies in a shoebox with a few holes in the lid and sides to give them some air. Now you can buy a ready made butterfly enclosure like a big butterfly net that keeps your butterflies safe and sound. The internet has changed life as we know it. But kids are still the same, they are still fascinated by what nature can do. And nothing is more fascinating that watching a caterpillar turn into a butterfly. 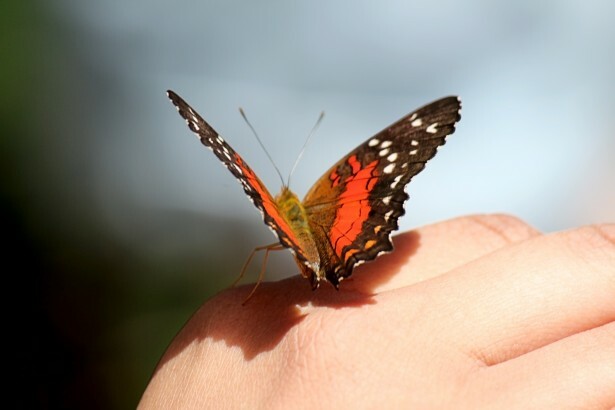 On the market there are two main butterfly habitats, both made by the same company “Insect Lore.” The best habitat and also the most expensive is the “Butterfly Pavilion.” Here you order 10 caterpillars and the company guarantees six to be perfect specimens. Most customers got all 10 alive through the post therefore ending up with 10 butterflies. The pavilion is around 2 foot high so it is quite large and you can either hang it up or put it on a table or the floor. It is made from quite heavy see through cloth mesh. It is actually an amazingly simple design, wire support in a cylinder shape so it can either hang up or stand up, and it is complete with zippered entry so you can get in and out. You also receive a very informative booklet that contains lots of butterfly facts. As well as instructions on how to put it all together and how to keep your caterpillars and butterflies alive. First you buy the butterfly pavilion then you have to order the caterpillars. The caterpillars are pretty hardy so most survive the trip by US mail. They come in two cups complete with food. Read the instructions before opening these cups. The caterpillars are supposed to stay in the cups so they can turn into chrysalides by hanging from the top of the cup. Everything is supplied but you have to supply your own sugar water, which somehow manages to drip all over the place and cause a mess. But people being people they love to add food so most drop in apple slices or run around outside looking for leaves to feed the caterpillars which grow amazing fast. After you receive the caterpillars they take about a week to grow big enough to pupate into chrysalis. Then the waiting game starts again while you wait for the butterflies to hatch. That takes about a week to 10 days. You now have a pavilion full of butterflies. The instructions recommend you let them go free as long as the weather is over 55 degrees Fahrenheit. Because of this weather thing some people have kept their butterflies and have ended up with 2 or 3 generations in the one pavilion. So you can keep using the pavilion but you have to find your own food. It is amazing what people can dream up nowadays. In my day were messing around with shoeboxes and it never occurred to anybody to make up a little butterfly cage like what you can buy nowadays. Nature has come a long way since I was a kid. 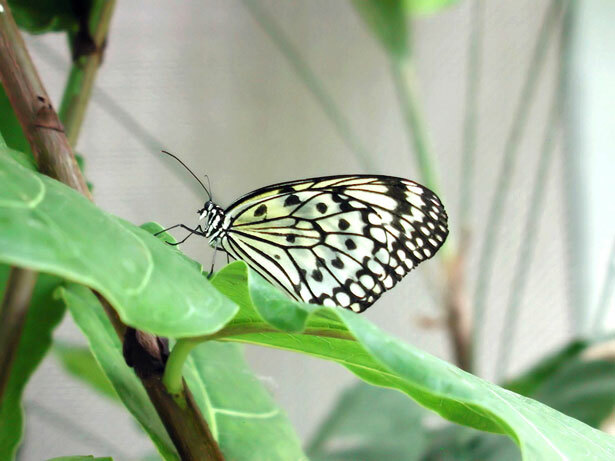 Insect Lore also bring out a smaller version called the Butterfly Garden which is about half the size of the Pavilion and comes with only six caterpillars. Everything else is basically the same right down to the instruction manual. Nature will always fascinate children so it is these little educational toys that can make a difference in how we bring up our children and how much they will learn. As the cities have gotten bigger nature usually comes to us on the TV but these new generation nature toys are a welcome addition to our homes.